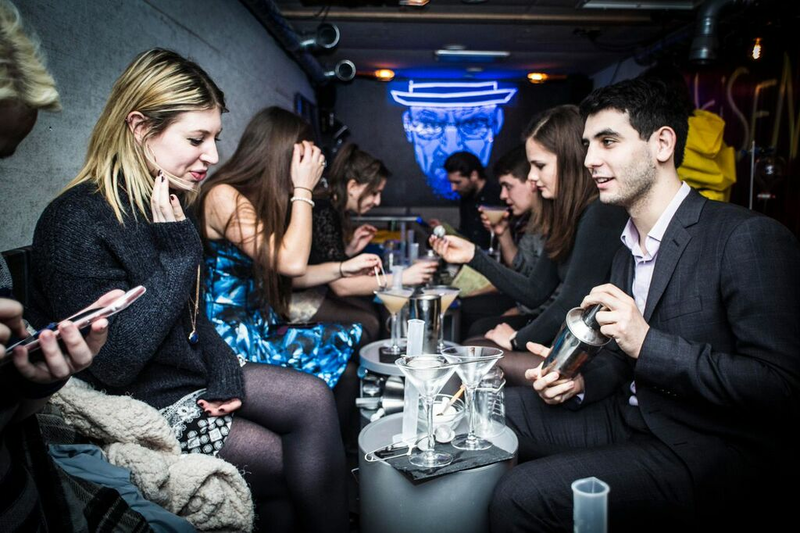 ABQ, the Breaking Bad cocktail bar in an RV was a huge hit last year - tickets sold out so fast - and now it's back in Shoreditch, E2, for a semi permanent run, open Thursdays - Saturdays from 6pm to midnight, yo! You need to book - tix are £25 a head for a 2 hour session - and you need to bring your own base spirit - and once there you will be given all the other equipment and ingredients needed to cook up your own Breaking Bad style cocktails. Got to be done! "Last year, our lab operated for 4 months where we cooked cocktails with over 9,000 people. As a company, we believe in change and innovation hence we spent the last two months refurbishing the RV and making a new, more molecular, cocktail list. 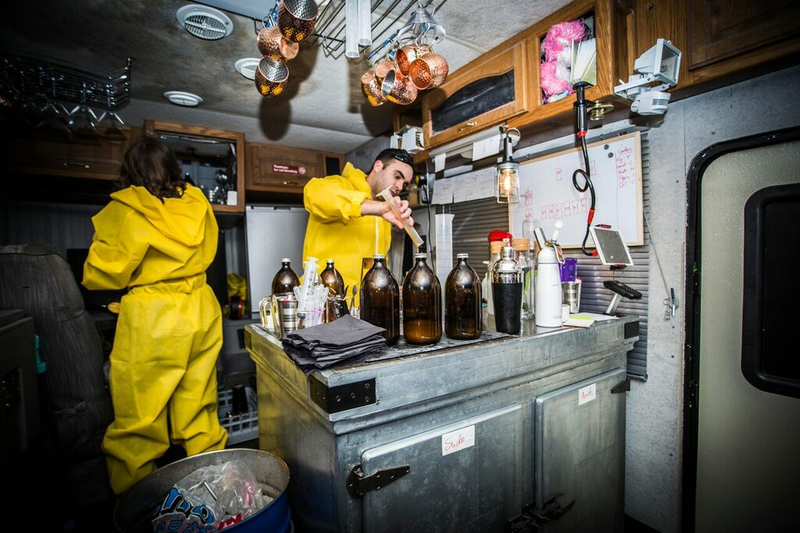 The new layout of the RV has been optimised to accommodate a full cooking experience for pairs and groups of 4/6/8 people and the interior takes inspiration from the cult of Breaking Bad and modern industrial design. This new look will also accommodate well to the private hire clients. Limited bookings are now open from 4th of Feb. Our cooking operations will run from Thu-Sat from 6pm-12am. Customers will be requested to bring their own base booze (sudo!) and they will be provided with all acids, chemicals, potions and other stuff to cook up Breaking Bad style cocktails!"